NEWSFLASH! Nate Dogg Dies At 41! Rest In Peace! THEMIXLAB would like to extend our condolences to the family & friends of the hip-hop artist, Nate Dogg. Nate past away yesterday due to unknown causes to his heart (as we know so far). This singer/rapper was featured in many Hip-Hop and R&B hits. Rest In Peace Nate Dogg! Caution: This mix contains hip-hop that’s so dope it’ll make you slap yo’ mama! Ha ha just playin’…don’t try doing that! Seriously though…The Mix Lab brings you another dose of good tunes for them ears! 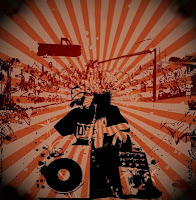 DJ JFresh-One hits up the decks to deliver some more mixes of what we do best here in The Mix Lab….. Put Quality First! In this episode you’ll find: DMX, Ghostface, LL Cool J, Busta Rhymes, Joell Ortiz, Talib Kweli, Joe Budden, Rakim, A Tribe Called Quest, The Beatnuts, Jay-Z, Method Man, and Biggie Smalls. Listen & download for FREE! Want some more? Subscribe! Ladies & Gentlemen! THEMIXLAB would like to honor the late Notorious B.I.G. & his legacy in Hip-Hop. Rest In Peace Biggie! 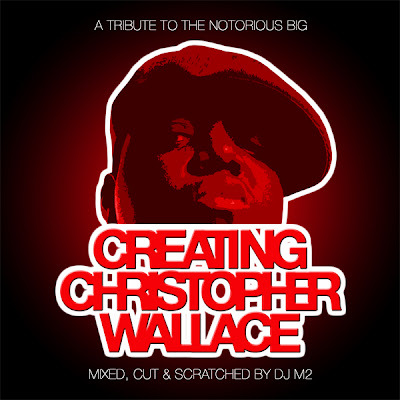 Phoenix's own DJ M2 brings a mixtape called "Creating Christopher Wallace" available as an mp3 download. Mad props to M2 for deliverin' a Biggie mix that's dope, fresh, underground, & raw! Show your support everyone & get your download!